The penalty for hiring illegal immigrants is now even more serious for U.S. businesses. Under the Immigration Reform and Control Act of 1986 (IRCA), it is unlawful to hire or continue to employ a person who isn‘t authorized to work in the United States. As part of the federal requirements, you must complete a Form I-9 for all new employees to verify employment eligibility. Failure to comply with these rules has always carried the risk of civil monetary fines, but now, the amount of these fines is higher than ever. On June 30, 2016, the U.S. Department of Justice (DOJ) published a final rule to increase the fines for various immigration violations — from a 35 percent to 96 percent spike. The increases, adjusted for inflation, will take effect August 1, 2016. 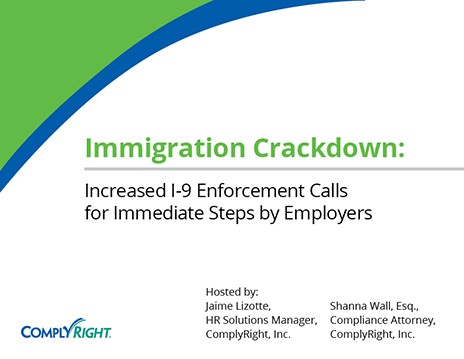 In light of this recent development, you need to make every effort to prevent unlawful employment of foreign nationals, Form I-9 paperwork mistakes and employment-related discrimination based on a person’s national origin or citizenship status. With the federal government cracking down on illegal workers, it‘s essential that you do everything possible to hire legally and properly complete the Form I-9. Make sure everyone involved in your company‘s hiring process is aware of the IRCA rule that makes it unlawful to hire a foreign national without U.S. work authorization. 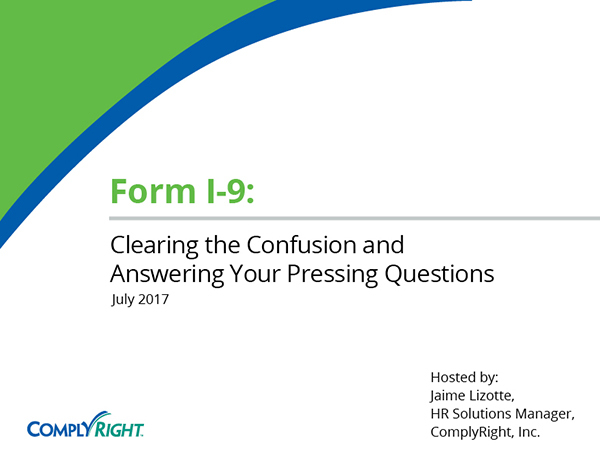 Completing the mandatory Form I-9 is a critical step in this process. To meet all government requirements, you need to verify the identity and employment authorization of each new employee. In addition to reviewing certain documents, you must follow a strict timeline. Newly hired employees must complete and sign Section 1 on the first day of employment, and Section 2 should be completed within 3 business days of the first day of employment.Using an error-proof template with your I-9s can help identify possible mistakes so you can be certain you‘re verifying employee work eligibility within the letter of the law. And it can help protect you from I-9 fines. Since it‘s illegal to discriminate against an employee based on national origin or status as a U.S, citizen, it‘s wise to review your various workplace procedures. Take a close look at your application, interview and selection process, stay current on the latest legal issues, and make any updates necessary to avoid a workplace ICE audit. ICE stands for Immigration and Customs Enforcement.